There is a price to pay and that is literally true. This city is expensive and is best visited when someone is paying the bill. A Croque Monseiour would cost you over 12£. Coffee usually is around 4-5£. Hotels are pleasant places where receptionists are helpful and smile. They are also warm. One of main complaints this last winter has been arriving at Marriott hotels to find that the room heating has been switched off for seemingly the last millennium. On my arrival it happily gets turned on but then takes the length of my stay to warm the room up. The characters in Stockholm also are straight from the Girl with the Dragon Tattoo. I could have cast that film many times just by sitting in a cafe and looking around. Lastly the food. It is good. The restaurants have a kind of laid back attitude where service is good but not to the point of being obsequious. Tables have gingham cloth covers and serve you pretty much what you want. I had Meatballs. I could have had massive Steaks. This is a place to come back to, but please someone invite me and pay my bills while I am there. 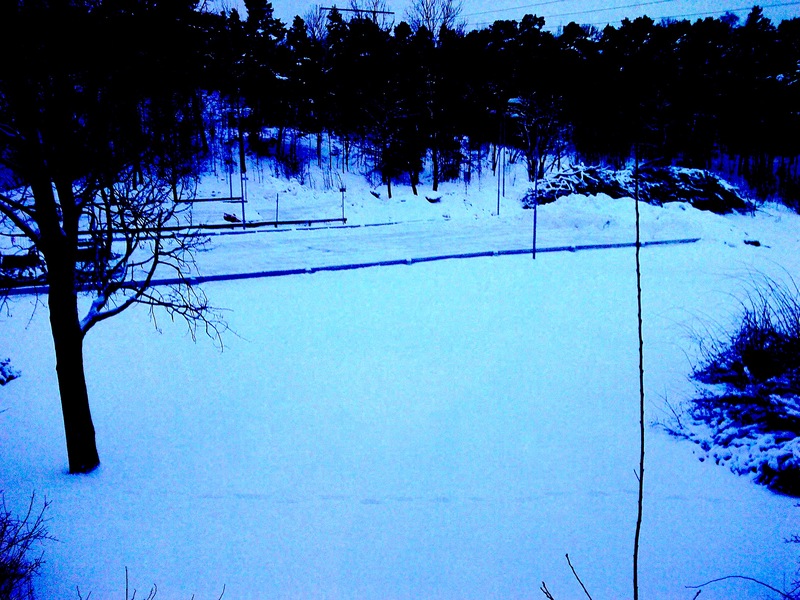 The street names are right out of the Girl with the Dragon Tattoo like Sodermalm. In my travels I do see a fair amount of utter nonsense. Today in Copenhagen is no exception. A taxi driver driving me to the airport with an obvious fairly flat left front tyre, needs also to be known that the temperature was minus 4 and dropping to minus 15 tonight, snow and ice on the roads in abundance ( and he drove more like Evil Knievel than anyone else). On me pointing this out he helpfully told me ” that is because air is escaping from the tyre”. 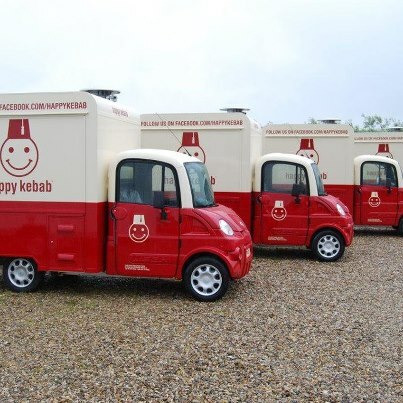 We could create a certain amount of confusion if we all follow them, tell our friends to and generally whip up a world wide interest in how happy the kebabs are! It has been a few months sinceI was last here and I always enjoy visiting. Coming in to land it was clear that there was no drought here. Many fields were waterlogged and rivers on the verge of flooding. 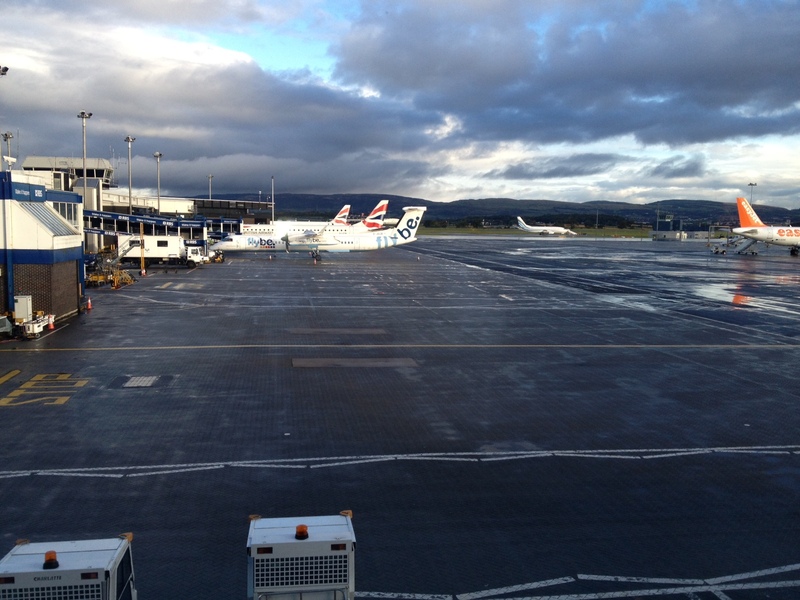 The airport seemed quiet until one approached the taxi queue. 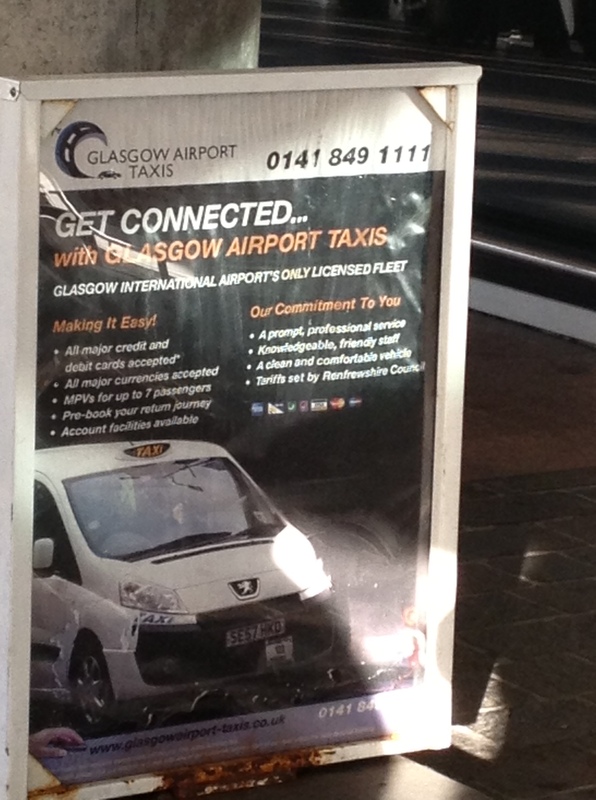 Posters advised and indeed almost entranced me to use Glasgow Airport Taxis. Listings of wondrous reasons why. The sad reality was that the plane was full and around 100-150 people descended onto a taxi rank where there were no taxis. Each minute a few would arrive, take a single passenger and off they would go. Two things struck me. Firstly the sole man in charge of masterminding the entry of a person into the taxi ( would enjoy reading his job description) might well have considered for example saying ” this taxi is going to SECC, anyone up for sharing?”. My guess is that there would be relatively few places folks were heading. He did not, so each taxi departed with a solitary fee paying passenger having spent upwards of 30 minutes waiting in a queue. Secondly, the taxis were all mini buses. Most were designed to hold 7-9 people. Again these would depart with one passenger. Ludicrous. The alleged reason for the wait for an accident on the M8 ( I saw nothing of the kind) and a breakdown ( again nothing seen by me). What I suspect is poor planning. 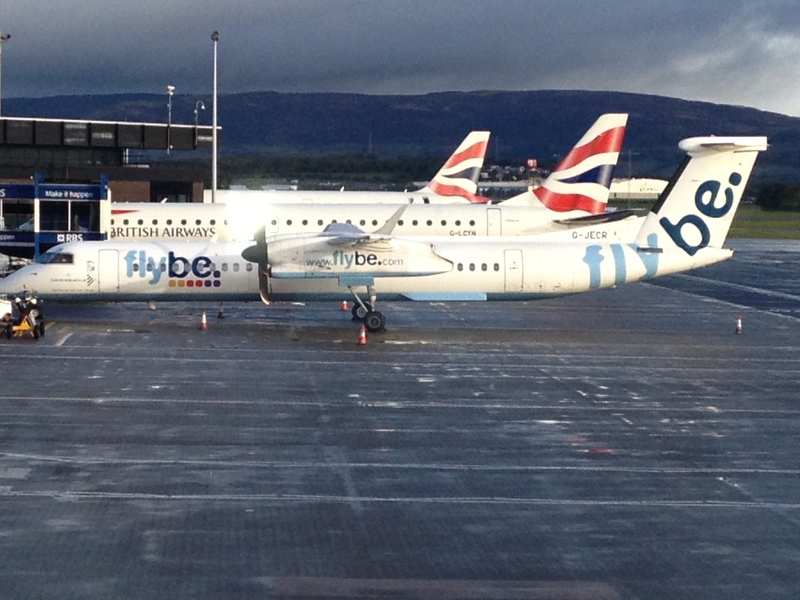 Clearly plane landings are predicted, clearly things can go wrong, but in general terms if you have a monopoly on a service you should be able to either provide that service or amend the service you do provide. Waiting for the taxi for some people was longer than the length of their flights. So I am afraid Glasgow Airport Taxis, you have failed on your commitment but I guess in your own way have provided an exceptional customer experience. The taxi driver was an interesting character. I made the mistake of talking football with him. He then talked at me the whole journey and was still talking to me as I entered into SECC. The reason was his unhappiness, if I might tone it down, about Glasgow Rangers and their punishment being banished to Scottish League 3 with a transfer embargo until 2014 ( he said). I said what happens if all the players leave and you have none, surely then you can sign players? He skipped answering that one, but it was a sad tale. Whatever one thinks about the alleged crimes that Glasgow Rangers have committed, these have not been done by their fans. An interesting day and its only halfway through. A few days ago I made a strategic decision that I would not travel to florence on saturday, as would be sensible, but travel on sunday so that I might watch the Brentford v Notts County game, which had given Brentford fans some slight hope of a play-off position. The game ended 0-0 and with it Bees chances of the play-offs. My penalty for this travel crime was that I had to fly out of Luton airport on a 7 am Easyjet flight. Working backwards this entailed getting up at 3.30am and a taxi journey to the airport. The taxi must have taken the most circuitous route to the airport known to mankind. Maybe the sat-nav calculated the shortest route but it was a strange one. The driver was a pleasant Romanian soul but in sited on talking to me all the journey and ended up by asking me how he might stop biting his nails…………. Luton airport is a horrible place. Where they can charge you for something they do and where they cannot they still do anyway. Firstly, this financial frenzy began with having to pay to be dropped off by a taxi, £1 ok not going to bankrupt anyone but not necessary and not kind. This donation to Luton airport allows 10 minutes of drop off time. To exceed this 10 minutes costs a mere penalty of 80£. Now at 5 am the airport was not so busy but I suspect there are days when it would be seriously busy and a queue might develop on exit to pay this fee, and suppose the queue took longer than 10 minutes and everyone was being fined 80£? In the airport the usual selection of average to hideous food at extottionate prices, all being sold from kiosks with stupid names. A fee again to buy those plastic bags to put one’s liquids in. A fee to go through the sensible paced security ( called fast-track, but I suspect the advertising standards authority might withhold a case against them). People everywhere pushing in, standing and blocking anyone passing and folks looking dead on the seats, you get the picture. Put simply,I hate Luton airport. Easyjet flight to Pisa was on time taking off but late landing as French air traffic controllers were refusing something or other, work most likely. Now arriving at Pisa for a novice might be complex, but I remembered the system. Buy a ticket from a miserable mute man in a box who charges an extra fee plus the cost of the train ticket to Florence. The timetable advertised a train at 11.03 and dozens of folks stood waiting and waiting and waiting………never came. The station I can tell you for sure is not twinned with either Kew Gardens nor Wisley. Despite having a similar amount of foliage growing between the tracks. Everything looked run down and tatty and sad. So we all clambered aboard what looked liked a first world war relic, a two carriage train covered in graffiti, nice graffiti but still graffiti, and went off at no more than 5 mph to Pisa Central. There are no signs at Pisa Central. Again grateful to have done this before. Found a train going to SMN, which is one of the Florence stations, but what confuses many folks is that Florence is called firenze. The train was packed. There is some rumour of a strike by Trenitalia but the real problem would be actually being able to tell the difference when they are on strike. The trains are old and this one was packed. There were a curious mixture of passengers. One couple caught my eye and also the camera on my blackberry. A younger woman who had clearly spent many hours putting on her make up, the blue make up around both eyes made her look as though she had gone 12 rounds in a boxing match. Her clothes and also those of what I presumed to be her mother can only be described in terms such as this. Imagine going to a car boot sale and being foxed not only to buy but to put on all remaining items of clothing. None of whom match any other item, style nor colour. Totally bizarre. Mother had a pair of glasses on that Austin Powers and maybe Joe 90 would be proud of. They covered essentially her whole head and making matters even more curious were pink. Covering her head was maybe a good strategy as her hair looked like it had been set on fire then microwaved and painted red as a final punishment to all non-colour blind people. From her ears hung what can only be described as awful silver looking blackberries. and she spent the whole journey sitting on the edge of her seat perched like a small crow. I have seen circus folks looking more sartorially elegant. The end of this part of the story is arriving with suitcase, and coat at 1 pm at the Congress centre. A 9 and half hour journey. I have now taken my humble belongings to the hotel and again a magical extra fee payable only in cash! 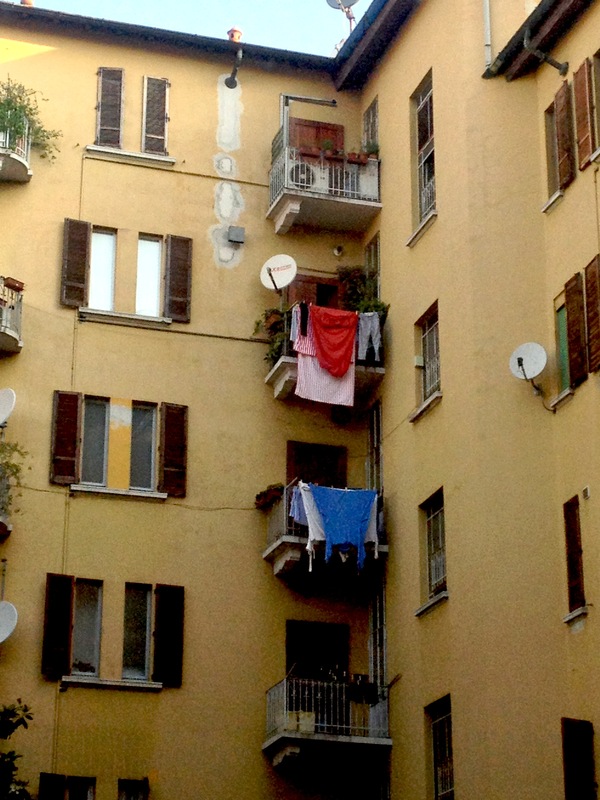 3 euros a night city tax, but why only in cash? The hotel is fine, Malaspina, stayed there before 2 years ago during the ash cloud debacle.